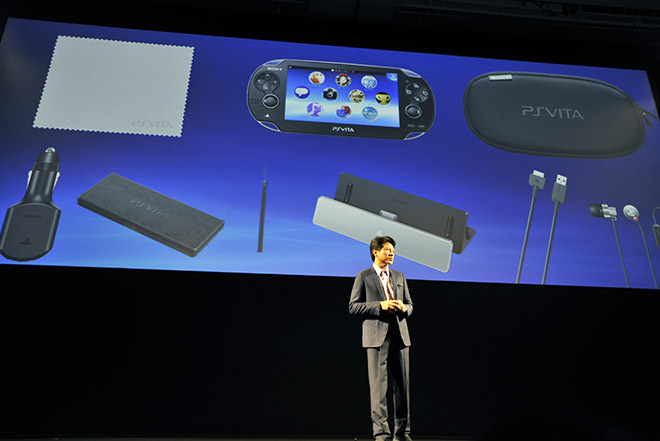 Sony Computer Entertainment Japan president Hiroshi Kawano discusses PlayStation Vita at a Tokyo press conference in September. I’ve been traveling internationally quite a bit over the last two months, and I’ve had the unlikeliest of indispensable companions: Kindle. I brought Amazon’s e-book reader along for a trip to Europe in August just to have something to do on the plane. While I was there, I thought to myself: Hey, I’m not paying anything for this thing’s 3G service. What about when I’m traveling abroad? 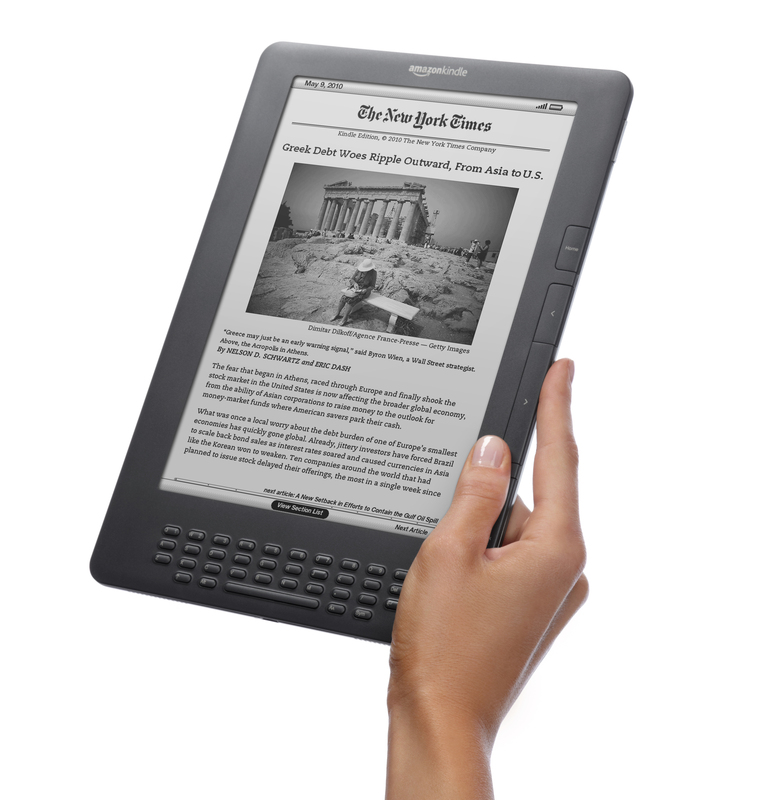 As it turns out, 3G-equipped Kindles can access the virtual bookstore in many different countries with no fee. I could also use the experimental web browser, which makes Kindle a pretty invaluable companion for the international traveler who wants to check email and Twitter without paying exorbitant data-roaming prices. During my Kindle-enhanced globetrotting, I went to Sony’s PlayStation Vita press conference in Tokyo, where it announced that the 3G version of its upcoming portable game system would have pay-as-you-go data plans in Japan. Gamers there can pay about $10 for 20 hours of 3G gameplay or $50 for 100 hours. Of course, this price difference is explained by the fact that playing Vita games over wireless networks will take up exponentially more data than sending a few kilobytes of text and black-and-white JPGs to a Kindle. But if Sony wants to really sell downloadable games on Vita, it may want to find a way to let players idly browse its virtual store without worrying that they’re wasting those precious prepaid minutes. If Amazon’s plan was that Kindle’s free 3G would pay for itself because it would cause people to impulse-purchase books as they browsed, it certainly worked in my case; I bought Penn Jillette’s God, No! in Paris without even having to think too hard about it. This is the way I get most of my iPhone games at this point. Discovery has changed dramatically: Do I read reviews of iPhone games? Go to the store and browse? No, I just wait until somebody says “Oh, I’m playing this great game,” and then I take out my iPhone and buy, download and start playing it right there. But then, I’m happy to pay $50 a month for unlimited data on my phone because it also means I have constant access to email, GPS, the web, etc. Who would pay that for Vita, even if Sony were to offer it, which it isn’t (at least not in Japan)? Wouldn’t Sony sell more Vita games if users were able to browse the store while riding the bus, not worrying that they were using up their precious 3G minutes? Perhaps they wouldn’t be able to actually download the games for free, but shouldn’t it also be trivial to, say, let a user queue up a download, then begin it as soon as the Vita gets in range of an open Wi-Fi hotspot? I realize I’m walking into a minefield here, as I don’t know the first thing about the inner workings of the deal that Sony has struck with AT&T, its data provider for the United States. Would it even be possible to let Vita users browse the store while riding the bus, without using up their precious 3G minutes? Moreover, would the added income from the extra game sales that such a move might generate be enough to make up for the expense plus a profit? I don’t know. What I do know is that selling downloadable products, whether games or e-books, is more than just hanging up your digital shingle and hoping that customers find you.